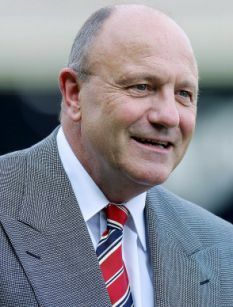 1966 World Cup winner George Cohen believes Russia should be stripped of this year's World Cup and that it should instead be hosted by England. TO host the World Cup is one of the greatest honours that can be bestowed upon a nation – and one you have to live up to. England did that when the Jules Rimet trophy was hoisted aloft by Bobby Moore at Wembley Stadium in 1966. Most of the country went mad for the World Cup that wonderful summer, and it showed off everything that was great about Britain. When the world came here to play football, no one could doubt it was the beautiful game. But there will be nothing beautiful about this summer’s tournament in Russia. Any other country would welcome the international community in a spirit of sporting togetherness. Instead, we have this absurd situation where they seem to have launched an aggressive attack on foreign soil just a few months before this great sporting event is due to begin. There seems to be little doubt that Russia is responsible for poisoning one of its former spies, Sergei Skripal, and his daughter. Many people are asking whether the Football Association should pull Gareth Southgate’s side out of the tournament they have qualified for, with relations between our two countries so strained. But I think it would be wrong to punish England fans with such a unilateral action. Why not make the case for the tournament to be hosted in England? Instead, we need to consider taking the World Cup off Russia. And who better to host it instead than England? Before Russia won the right to host the tournament, in very suspicious circumstances, we made a very convincing alternative bid — so we already have the plans ready to go. Now is the time to put them into action. This attack in Salisbury, Wilts, with a Russian chemical weapon is a hostile escalation which we cannot ignore. There will now be many fans who simply don’t want to risk flying to Russia. I feel the same. The Russian FA invited me to go to the World Cup — but there is no way I would go now. Even the Foreign Office has warned about travelling there because of anti-British sentiment or harassment. What Russian thugs did to both English and other fans during Euro 2016 in France was terrible enough. They were organised “ultras” whose sole aim was to start riots and cause grievous injury. It was fortunate no English fan died. Igor Lebedev, a member of the Russian Football Union, told these hooligans to “keep it up” and President Vladimir Putin joked about it. Those don’t sound like the words of leaders who genuinely care about fan safety. There are many question marks about Fifa’s decision to hand the tournament to Russia in the first place. For a long time, black players have experienced racism over there, with Russia’s *governing body doing little to counteract it. The most recent example was England’s Under-17 World Cup-winning striker Rhian Brewster, who experienced racial abuse during a Liverpool game against Spartak Moscow last year. Then we have the former Fifa president Sepp Blatter saying they had decided to award the tournament to Russia before there was even a vote. We should have had an open and democratic process. Would we want the World Cup to be tarnished in the same way the 2014 Winter Olympics in Sochi were? It was there that Russian officials used their position as hosts to secretly swap drug-testing samples so their cheating athletes were not caught. I appreciate Fifa would have misgivings about taking this honour from Putin, due to the financial and legal implications. But it should be considered right now. If such a bold idea is to be attempted they would need to get on with it quickly.The country most prepared to stage an international event of this calibre is us. We are ready. We have the best stadiums in the world, incredible infrastructure, history and the can-do attitude to make something big happen. Britain is not alone in feeling anxious about the World Cup being used as a PR exercise for Putin. Some members of the Germany side — the reigning champions — told Bild newspaper they were in an awkward position because of Russia’s bombing of women and children in Syria. We have also heard positive words from our allies in Nato and Europe about standing alongside the British Government. It would be a real boost to Britain if the World Cup came here. Russia is a great nation with so much going for it, and the World Cup was an opportunity for them to show a positive face. Instead they seem to be deliberately stirring up trouble ahead of this iconic event. Why should our fans face trouble over there, when they can feel secure here? And I say that as an admirer of a certain Soviet linesman, Tofiq Bahramov of Azerbaijan, who made the right call when he declared our third goal scored by Geoff Hurst in 1966 had crossed the line. Last edited by Blackleaf; Mar 17th, 2018 at 07:24 AM.. Using international sports festivals as a political weapon is completely futile. It didn't work with the African boycott of the Montreal Olympics; the NATO boycott of the Moscow Olympics; the Warsaw Pact boycott of the LA Olympics. Leave the sports the to playing fields and politics to the parliaments and embassies. The awarding of the 2022 World Cup to Quatar, a country manifestly unqualified to host it, is another matter. That was solely about the endemic greed and corruption of FIFA and not politics. so glad Vancouver turned down this whole idea. That would have been inconvenient for just about everybody. It just seems strange to me England playing in the World Cup in a country that has likely committed a nerve agent attack on English soil. If Britain really want to put some pressure the Russians it should end its practice of being a safe haven for Russian Oligarchs who have fallen out of favour with Putin and as a base for money laundering operations for Putin and his Cronies vast loot. Anyone who has made himself a billionaire in Putin's Russia is part of the this kleptocracy and yet Britain welcomes them with open arms. It let's them buy storied sports franchises like Chelsea and insinuate themselves in the richest enclaves of London. No wonder Putin thinks he can act with impunity on British soil; he considers it part of his property.